Tuition and fees average thousands less than other public and private institutions in our region. That’s a big difference, resulting in significant savings for you. Eastern Oregon University offers small class sizes with dedicated faculty, whose focus is on student success. 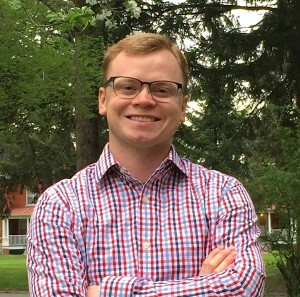 Hands-on learning and personal connection to the campus community engage students from every background, while offering thousands of scholarship opportunities. The Economist recently ranked EOU among the best value colleges in the Northwest for return-on-investment. 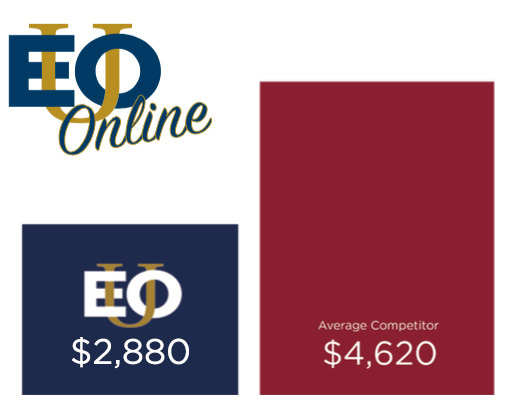 More than a dozen other organizations have recognized EOU for its value! Make the most of your education – contact us and discover financial aid options that work for you. Per Year: Cost comparison includes estimated tuition, fees and room and board, and is based on 12 credit hours per term for three terms. Click the button below for details on tuition and fees for on campus students. Per Term: Totals are based on 12 credit hours. Compiled from a sampling of for-profit institutions in Oregon and nationwide. Click the button below for details on tuition and fees for online students. Financial aid is based on the estimated cost of attendance and your enrollment level. 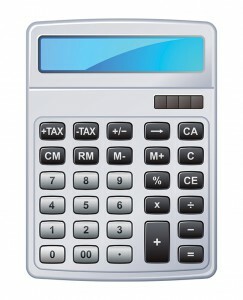 Click the button below to get a more detailed breakdown of cost and to use our cost calculator. 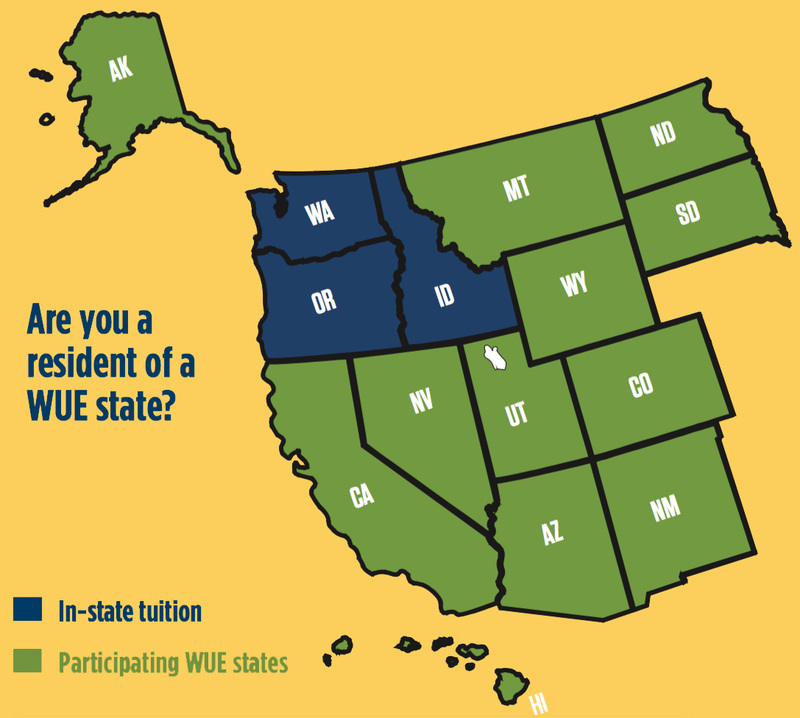 NO OUT-OF-STATE TUITION for Washington and Idaho residents attending on campus! Instant savings for Western Undergraduate Exchange (WUE) residents. Students from the Commonwealth of the Northern Mariana Islands and Guam are eligible for the WUE rate. Transferring to EOU? Great! You receive a WUE benefit, too. There are a lot of ways to offset the cost of your education. Financial aid is available! 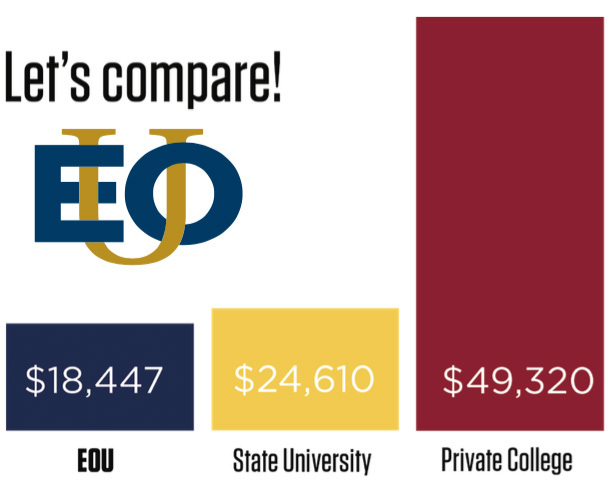 At EOU 93% of students receive some form of financial aid. Contact our Financial Aid Office as we are eager to help you find the means to funding your future. View other EOU scholarship opportunities and see how it is possible.